We all want glowing, healthy looking skin, especially if you are a beach or pool lover. That requires protection from the ravages of the sun, dirt, heat and pollution. In addition, assisting the body to eliminate toxins is also very important. Our skin is the largest organ of elimination. It’s also a reflection of our internal health. One thing that will enhance the health of your skin and body is dry skin brushing. When you think about the skin performing a quarter of the body’s detoxification every day, you realize how important that is. It eliminates about 2 pounds of waste acid daily. Dry skin brushing helps the skin perform its tasks more efficiently. And if you sit at a desk or have an inactive lifestyle, you will really benefit from this. Eliminates clogged pores so your skin can absorb nutrients. Increases circulation to the skin so your body can more easily discharge metabolic waste. Stimulates nerve endings in the skin which rejuvenates the nervous system. Improves your skin texture by helping to shed dead skin cells. Helps muscle tone which results in more even distribution of fat deposits. Helps tighten the skin by increasing the blood flow. Lessens the appearance of cellulite. A great alternative to liposuction surgery. Stimulates the lymphatic system which helps purify the entire body. First purchase a natural vegetable bristle brush. Synthetic bristles can damage the skin. There are many kinds and sizes available. My favorite is one with a long handle to reach all areas of the body, especially the back. Brushes with a removable head and strap for your hand are ideal. Dry brush your skin once a day, preferably in the morning to get the blood flowing and prior to bathing. Brush your skin starting from the feet upwards and always brush toward your heart. Brush on the feet and legs upward, on the torso upward, and from the hands toward the shoulders. Avoid anywhere where the skin is broken or sensitive. Always be gentle, especially when you are just starting dry skin brushing. Your skin will develop more tolerance the longer you do it. Be sure however not to over brush as this can cause redness and irritation. After bathing or showering, massage the skin with a good quality oil such as almond, jojoba, sesame, olive or Young Living’s V-6 Mixing Oil which is a blend of these oils. One of my favorite oils to use is organic extra virgin coconut oil. Coconut oil is such an amazing oil that it not only helps your skin but has other healing benefits. I make my own body creams by adding a few drops of Young Living Essential Oils like White Angelica, Lavender, Peace and Calming or Joy to name a few. The coconut oil combined with the essential oils makes your skin feel fabulous. However, I must warn you that people will want extra hugs from you because you smell so good! I also like to use something called Cel-Lite Magic Massage Oil to firm and tone specific body areas. It enhances circulation and helps provide nutrients to reduce fat and cellulite. One last thing is to remember to clean your brush once a week using a natural soap and water. I like the Thieves Hand Soap for this. It really smelled fresh and clean! Rinse thoroughly. If possible I like to dry it in the sun to prevent mildew. Make a commitment to yourself today to get your skin and body glowing with dry skin brushing. 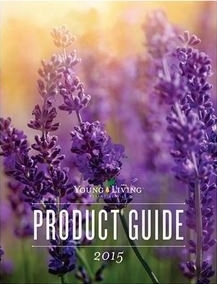 Do you know how to use Young Living Essential Oils? 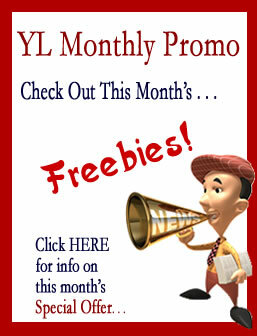 Get my Free Report at the top right of the page! Carol is an essential oil educator and a certified reflexologist. As a distributor of Young Living Essential Oils, she teaches the importance of using genuine, authentic essential oils. Among the things she has studied includes, the use of essential oils, iridology, muscle testing, nutrition, tapping and other forms of energy medicine. I was not aware of this practice Carol. Thanks for sharing it. Do you sell the brushes? You’re welcome Vicky. No, I don’t sell the brushes, but you can find them in most health food stores. You’re welcome Sharon. Please do let me know!